Can you believe that tomorrow is already the grand opening for Bengtson’s Pumpkin Fest? If you’ve been following along with our blog posts recently then you probably know just how much we have in store for the patrons of our pumpkin farm in 2018. From amazing eats like our famous apple cider donuts to BBQ to tacos to kettle corn to pizza to roasted sweet corn to churros (which are new to Bengtson Farms this year and are sure to become a favorite), we have you covered if you’re looking for fall food in Chicago and the surrounding area. With so much to enjoy, Bengtson Farms is the perfect place to utilize for your next group outing, and as a matter of fact that’s the topic of today’s blog. Keep reading to learn more! Although our grand opening is tomorrow we have plenty of other dates to choose from. Just take a look at our hours and admission rates page to see for yourself just how many opportunities you’ll have to enjoy a day of fun at our pumpkin patch! Whether you’re getting the family together for an impromptu reunion, spending a day reuniting with friends that you haven’t seen in awhile, or just having a playdate with your kids and their friends from school, you’re sure to love your time here. No matter what you like to do for fun, you’ll find plenty of it at Bengtson Farms! 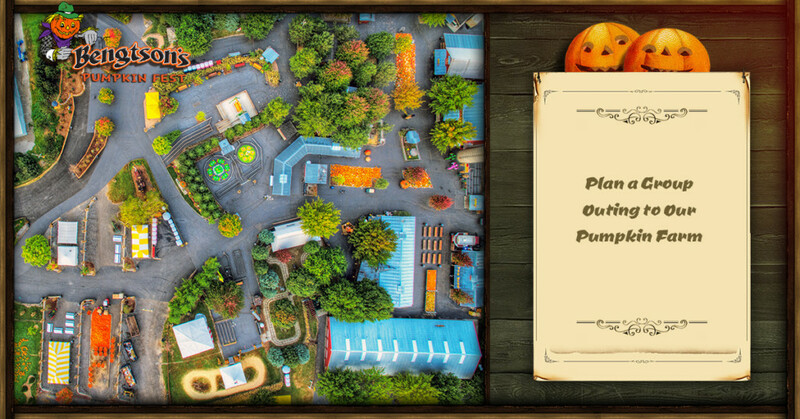 Whether it’s the Barnyard Dance Cow Coaster, the free selfie booth to document your trip, the tractor rides, the mining sluice, the petting zoo, or the much beloved pumpkin chucker, there’s a lot to do! As we mentioned above, we are excited to offer a great selection of fall foods for our guests to enjoy. From sweet to savory, we have a number of delectable options for our guests to enjoy. After all, there’s nothing better than bonding with your loved ones over food, so why not make sure that you get to spend some time with friends and family while enjoying the best fall food in Chicago? We’ve barely scratched the surface of what there is to do at Bengtson Pumpkin Fest in 2018, so we’d like to take this opportunity to direct our readers to information about our attractions, the eats and treats available here, and our event calendar. There’s a whole lot to love about our new and improved pumpkin patch experience for 2018 and we’re eager to open our doors tomorrow! Take a look at our driving map and directions to make sure everyone gets here and we look forward to seeing you this year for more great fun and excitement at our pumpkin farm!